Share "Do's and Don'ts For Dog Parks"
Dog parks are communal spaces where your dog can let its tail wag freely and socialize with other dogs. In most cases, dog parks are great resources for dog owners to play and let their dog run around. Essentially a dog park is THE place to hang out if you’re a dog or dog owner. However, the dog park can also be among the worst places for your dog for a variety of reasons. Within any community – dog or human, everyone must do their part to help make the space safe and enjoyable for everyone. 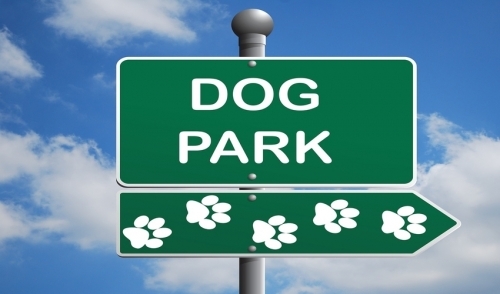 Take a scratch at this article to uncover the do’s and don’ts for dog parks in your area. Just like playgrounds and other social areas, dog parks can hold hidden dangers such as illness, bullying, and bad habits picked up during socialization. The first ‘do’ every dog owner should start with is making sure your dog is up to date on all of its vaccination and parasite control. If your dog is not protected, don’t bring it to the dog park to interact with other dogs. Do keep your dog on a leash until its inside a designated off-leash area and do take it off once you’re inside the park and able to play. This is to practice good manners around others and to also protect your dog from cyclist or danger near the road. Once your dog is in the park, it’s important to take the leash off so that your dog can use appropriate body language to engage and play with other dogs. Research has shown, dogs without leashes show less aggressive behavior and are more able to better handle themselves in a social environment. Speaking of socialization, do use the area of the park that matches the size of your dog. While a Chihuahua could get along with Great Dane, its best to keep small dogs in the small dog area and big dogs in the large dog area. Looks can always be deceiving and its safer to distinguish dogs by size as you run the risk of a large dog getting into a scuffle with a smaller dog, which won’t end well for anyone. The last ‘do’ to follow is do train your dog on how to be well behaved before attending the park. Dogs that are wound up or can’t control their behavior effectively can cause other dogs to get worked up which may lead to aggressive behavior. Take time when your dog is a puppy or within the first couple of weeks of adoption or ownership to train your dog on the simple basics of behaving properly and understanding simple commands such as ‘no’ or ‘down.’ This will go a long way once your dog is running around the park. While there are plenty of do’s, don’t bring your dog to a park if it’s too young (less than 16 weeks) and don’t bring your dog if its under-exercised or hyper. It’s not a crime to have an excitable dog, but take your dog for a long walk to burn some energy so he is able to play nicely with others. Finally, don’t leave the gates of the park or holding pen open when you leave or enter. Respect the space and the owners by always securing the gate as you come and go to avoid any accidents. The dog park should be fun, safe, and enjoyable for all those who enter. Follow the tips in this article to ensure everyone has a great time outdoors with their dog.